Any change of address must be reported Department of Homeland Security (DHS) within 10 days. Update your local address through the Registrar's Office and with your Designated School Official (DSO) in Admissions. DHS will be notified of the change. If you are on OPT, email your primary DSO adviser with your new local address. Please not that your local U.S. address must be your physical address, not P.O. Box. DSO must be notified when a student is changing his or her major; a new I-20 with the change/s will then be provided. Students who decide to travel out of the U.S. during their summer or winter breaks will need to have their I-20's signed by the DSO before traveling. Travel endorsement signature on page 2 of the I-20 is valid for 6 months. If a student VISA has expired, you will need to schedule an appointment with the American consulate/embassy to renew your student VISA before returning to the U.S. If you have 12 months or more full-time CPT, you are ineligible for OPT, but part-time CPT is fine and will not stop you from doing OPT. For work authorization, you must mail a completed apply for work authorization Form I-765, Application for Employment Authorization to U.S. Citizenship and Immigration Services (USCIS) and paying a filing fee. USCIS will send you a Form I-766, "Employment Authorization Document," (EAD) upon approving you receive your EAD. 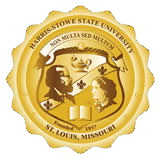 International students at HSSU are eligible to work on HSSU campus. International students will need to fill out a work study application for through the Financial Aid Department.